Personality Quiz - Who and How Do You Think You Are? A personality quiz comprises a list of questions designed to reveal something about the participant. 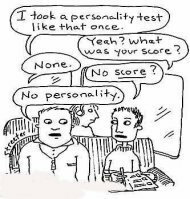 There are a large number of personality quizzes available online and many of these are, to put it bluntly, trivial and intended for (or at least only suitable for) entertainment purposes. 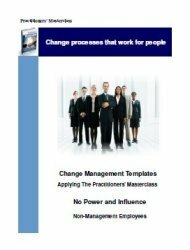 The overall focus of this site is the leadership and management of change in organisations, and in this section of the site we are focusing on managing personal change. 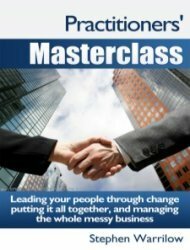 Through the intelligent use of the personality quiz we can gain valuable insights into how we function as individuals and particularly how, where and why we differ from each other in why we do things and how we think. As with all things, a balanced approach to this is necessary. 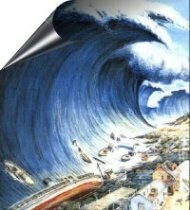 Criticisms are sometimes made of a particular approach on the basis that "people can’t be shoe-horned in one or other simple category – we are more complex than that". This is of course true, but nevertheless we can gain helpful insights and perspectives from these personality quizzes and tests. Another lack of balance occurs with some people who tend to "over-interpret" results and this is also unhelpful. 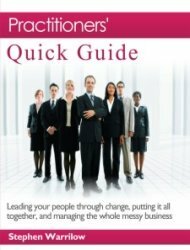 So it is important to remember that these approaches and tools are aids to understanding overall personality, preferences, strengths and processing styles - and this is always a subtle and complex mixture in each individual person. Here is a cross-section of some of the main personality quizes and assessment tools. 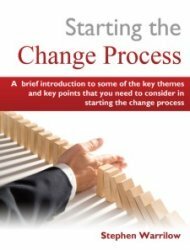 Again, may I remind you that we are looking at this through the lense of managing personal change in an organisational change management context, so this is a very high-level summary. For more in depth information please follow up the various links to external resources that are provided below. I have also included links to a number of free on-line personality quizes based on these asessment tool. "Whatever the circumstances of your life, the understanding of type can make your perceptions clearer, your judgements sounder and your life close to your heart's desire." The Myers Briggs [personality or psychological] Type Indicators are based on the of work of Carl Jung, in which he developed theories to attempt to explain the differences between normal healthy people. 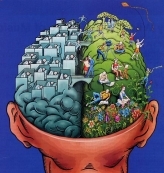 Jung concluded that differences in individual behaviour are the result of innate tendencies that people in the manner in which they use their minds, and that they tend to do in quite different ways. Myers Briggs types are based on 8 basic mental functions observed by Jung. The initial observation was that people's minds (when active) are involved in receiving information and processing information. This then developed into a recognition of the different ways people receive, process and interpret that information. The Enneagram of Personality Types was created by Oscar Ichazo. It amalgamates themes and elements of a number of wisdom traditions. 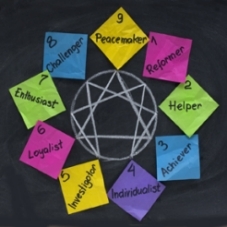 The Enneagram features nine distinct personality types. The enneagram system suggests that we each of us is born with a dominant, and unchangeable, personality type which shapes how we adapt to our early childhood environment. 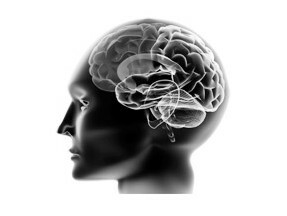 Dr Katherine Benziger takes a completely different approach to the assessment of personality and thinking styles and focuses on the physiological and neurological aspects of how our brains actually function rather than the theoretical and philosophical basis of most psycho-metric tests. The multiple intelligences theory postulates that we each have a preferred learning style. This is a cognitive perspective of human nature. It suggests that in addition to our natural strengths and behavioural patterns we develop our own individual method of learning. This theory is grounded in an expanded view of traditional definitons of intelligence. Gardner's theory suggests that people possess a set of multiple intelligences, and he identifies seven intelligences.